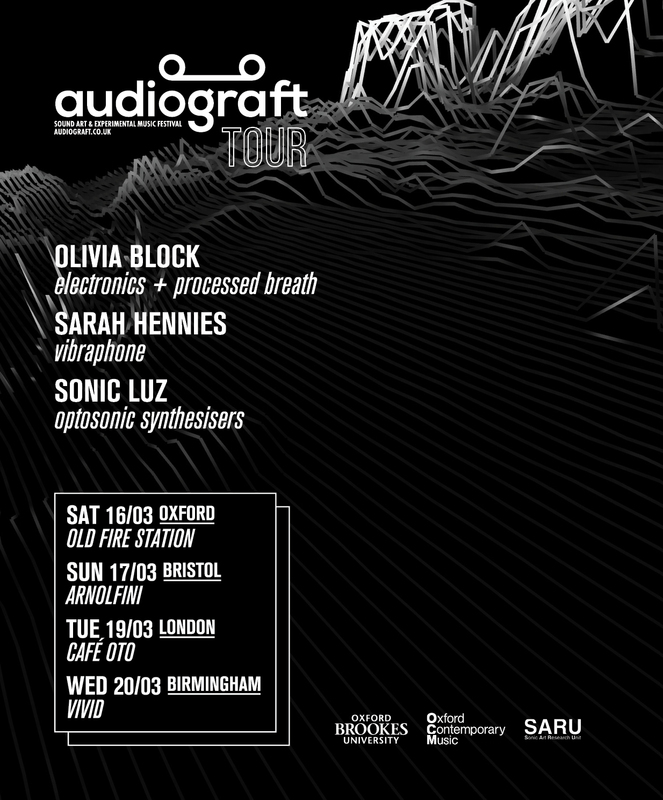 This is the first year that Oxford’s annual audiograft festival of experimental music and sound art will be taking part of its bill on tour! The piece opens with a man speaking to himself on a “found” micro cassette tape about his dying father. This voice is then accompanied and eventually blotted out by performed breath, white noise and found recordings from catastrophic weather events and eventually a flood of water. The combination of sounds reflects an overwhelming collective sense of human anxiety and grief about the destruction of the natural world and, the inevitable decay and obsolescence of Western (particularly American) culture. Live performance by noid and klaus filip bringing the technology of optosonic synthesizers into the era of DIY. Most traditional synthesisers put a strong emphasis on reproducibility and the stability of pitch. Therefor they need big and complex mechanisms usually realised inside a black box. For Sonic Luz the priority is a maximum of flexibility and the possibility for haptic interaction on all parts of tone production. By moving the lamps, the toneweels, the light sensors on the table, or changing the discs, the composition of the sounds is manipulated, quickly and intuitively. The machine has no interior that could possibly be hidden, everything is laid open for the audience and generates a performative aspect of great beauty.